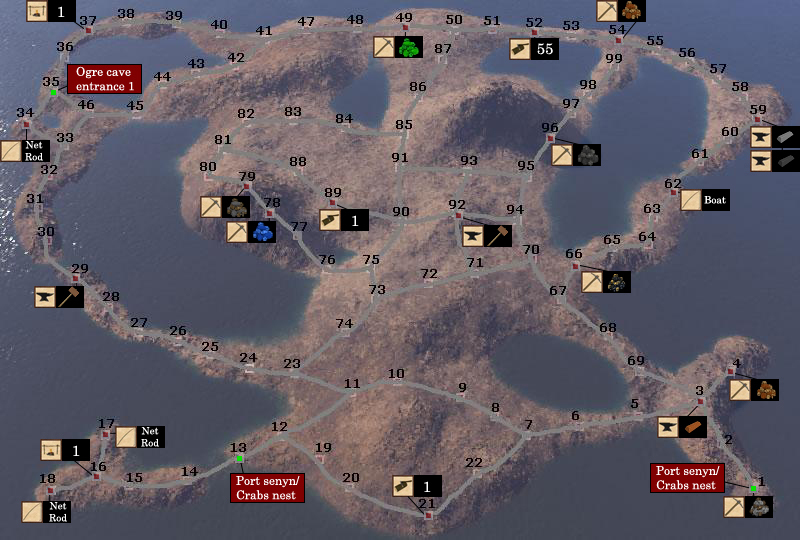 The world of Syrnia has a wide variety of maps and locations, at each of which different tasks can be performed. On this page you find a complete replica of every map and location Syrnia is rich. Clicking on a map will give you detailed information on everything that can be done there. You can also search for a specific location using the search field. 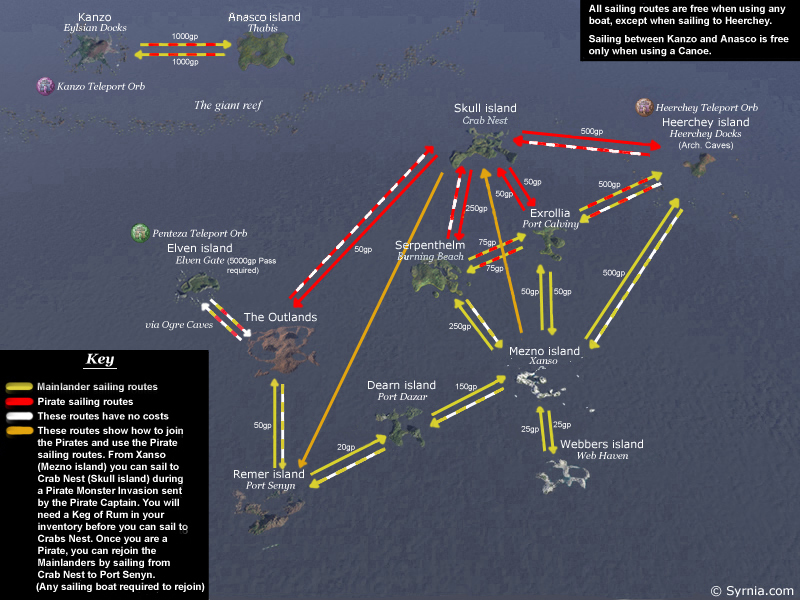 Lastly we have an overview of all sailing routes between the islands. We also recommend our combat locations page. The arch. cave system can be entered from McGoogins site, Heerchey island after you have completed the quest Earning the family respect.